I have a long standing tradition dating back to my high school years: whenever a bouquet of flowers appears in my home, it gets painted. 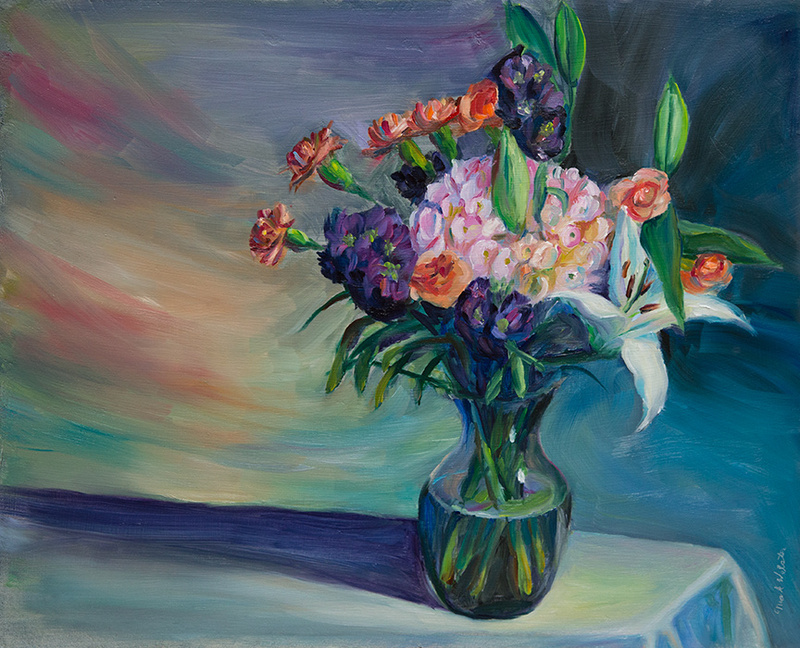 Doesn’t matter where it came from, or who bought them for what occasion…they end up in front of my easel. So when Lisa bought her mom a nice bouquet for mothers day, it took me about 2 days to realize I needed to paint them. Simultaneously I’ve been getting more comfortable with oil paints due to all my recent plein air work, and I decided this was a perfect opportunity to step up to the larger canvas size of 16 x 20. 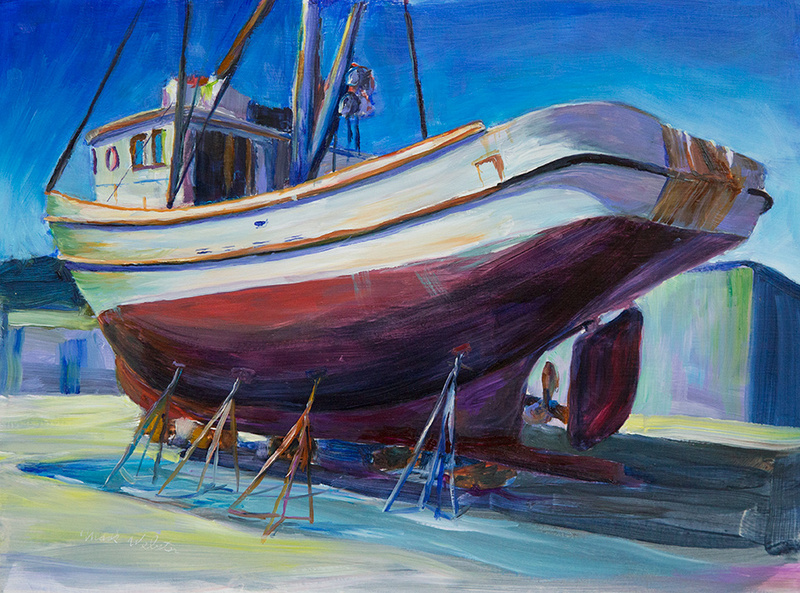 I promised myself that I would approach some galleries in Tacoma or Seattle as soon as I mastered oil paints. After nine months of constant painting I think my skill with oils has matched or maybe even exceeded my skill with pastels. It’s been a long road. There were weeks when everything I did was terrible and I dispaired of painting anything beautiful ever again. But something in me refused to give up. When a painting failed to fly, I plugged in my belt sander and ground it back to masonite. Three coats of gesso later, I was ready to try again…and again. Each time I finished one I’d show it to Sue, my best critic, and carefully watch her face as she examined the work. She knows beauty when she sees it, but I think she may be biased by her desire for me to return to computer programming, with it’s more reliable paychecks. Getting a favorable review from her is challenging. I think she sort of liked this one, or at least thought it wasn’t too bad. Here are a few more of my recent plein air paintings. Painting outside taught me to work quickly. I have a lot of memories here. Dad worked for the Supreme Court for 25 years. I wasn’t sure they would let me stand on the lawn and paint here on a work day. I was literally 100 feet from the governors mansion and security was tight. Fortunately the State Police seemed to like my painting, as did a bunch of people in very expensive suits. We drove up to Pt. Townsend where there is good access to boats. 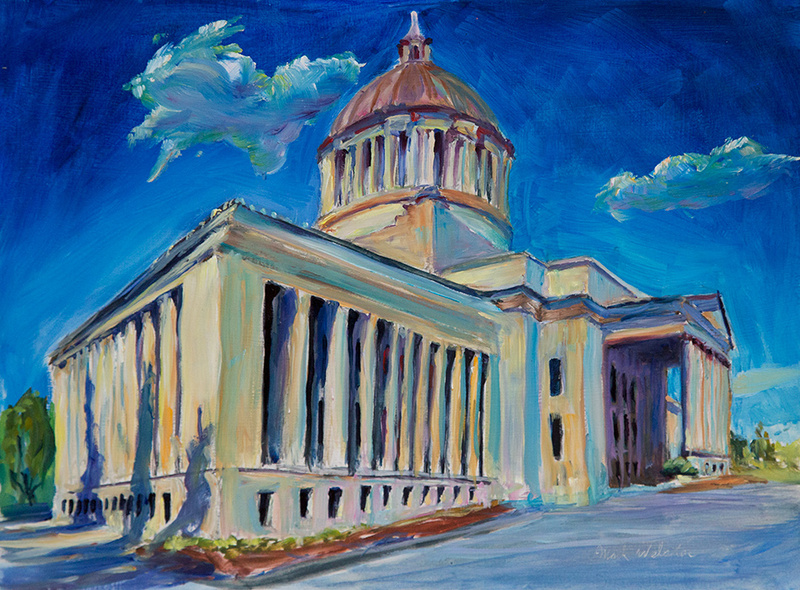 I’ve also spent 3 Fridays working on a painting of Tacoma’s Old City hall. That was fun. I spent so much time there I started to make friends with the homeless people who hang out in the park, and the nearby restaurant offered to let me hang my paintings. Last Sunday I painted the West Point Lighthouse in Seattle. They need a few tweaks before I can show them. Mixed in with all this painting I’ve done a little climbing…but my main focus this spring has been painting.